Award nominated London Theatre company comes to the Customs House! LKT Productions were nominated for two prestigious Off West End Awards for their recent London production of Th’Importance of Bein’ Earnest that saw the Oscar Wilde classic relocated to a Yorkshire Council estate with hilarious results. They are now delighted to be visiting Customs House as they take their critically acclaimed production Oh No It Isn’t! on tour. It’s the final performance of Cinderella in a moth-eaten, regional theatre and backstage tensions threaten to boil over onstage. Will the egotism, oneupmanship and sexual politics remain confined to the dressing room? 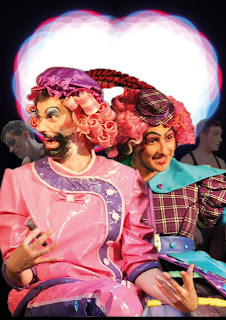 Will the ugly sisters keep the professional professional and the personal personal? Will we ever find out what happened during Babes In The Wood?